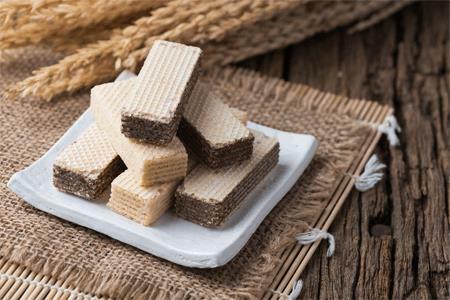 With a tradition reaching back more than 80 years, the company is a leading producer of wafers, and more recently also cereal bar specialities, for trade and industry. Otto Beier Waffelfabrik GmbH in Miltach is one of Germany’s largest and most prestigious manufacturers of the finest wafers. The most recent addition to the quality assurance section is an HC-A-FL double scale from the same manufacturer. After a series of investigations, it turned out to be the only one that could weigh reliably and safely in calibrated mode in this speed range and weight class.